Truth is Most Prior (or Eternal) Freedom and Humor. Truth is the Only Perfect Refuge. Truth is That Which, when “Known” (or fully Realized), Sets you Free. The Gift of Truth Itself is an engaging compilation of selections from The Aletheon—Avatar Adi Da’s final and summary masterwork—that leads the reader through a penetrating consideration about Truth and about the Way to Realize Truth. The starting point for Avatar Adi Da’s examination of Truth Itself is that everyone already has a tacit (or intuitive) sense of the Truth—because the Truth, or the true nature of Reality, is the native State of everyone and everything…. Yet the true nature of Reality remains only an intuition, rather than a full enjoyment or realization, in almost everyone’s case. Avatar Adi Da points out that fullest Realization of Truth (or Reality) is “absolutely uncommon”, and most people are unaware of even the possibility of such Realization. In The Gift of Truth Itself, Avatar Adi Da explains why this is so, and He offers the great process by which anyone and everyone can actually Realize the Truth, thereby Realizing Liberation from all suffering and limitation. The beginning of the book presents a sampling of Avatar Adi Da’s illuminating Wisdom on the cultural, religious, and social forces that have shaped Western presumptions about Truth and Reality. He explains that the false and limiting notions that comprise our cultural inheritance actively work against Realization of Reality—until they are understood and transcended. 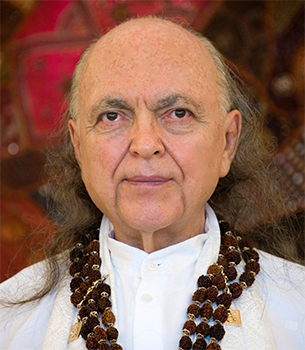 Having considered what presumptions limit humankind in the process of Spiritual growth, Avatar Adi Da describes what serves the process of Truth Realization: namely, the great esoteric tradition of devotion to the Adept-Realizer, or Spiritual Master. 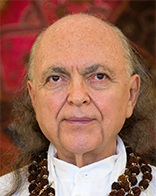 Then, in the context of and as the fulfillment of that tradition, Avatar Adi Da communicates the direct Way of fullest Realization of Truth Itself. The essence of this Way is communicated in the final section of the book: Avatar Adi Da Himself is the Means of this Reality-Way—because He is the direct Manifestation of the Truth Itself. Therefore, The Gift of Truth Itself is not only an opportunity to deeply consider the nature of Truth—it is an invitation to enter into the process that Realizes Truth. A compact volume in pocketbook format, The Gift of Truth Itself provides a useful introduction to Avatar Adi Da’s Reality-Teaching and Way, as well as an accessible way to begin study of The Aletheon. Brief contextual remarks by the editors introduce each selection in the book. Could be the most important gift you ever receive!